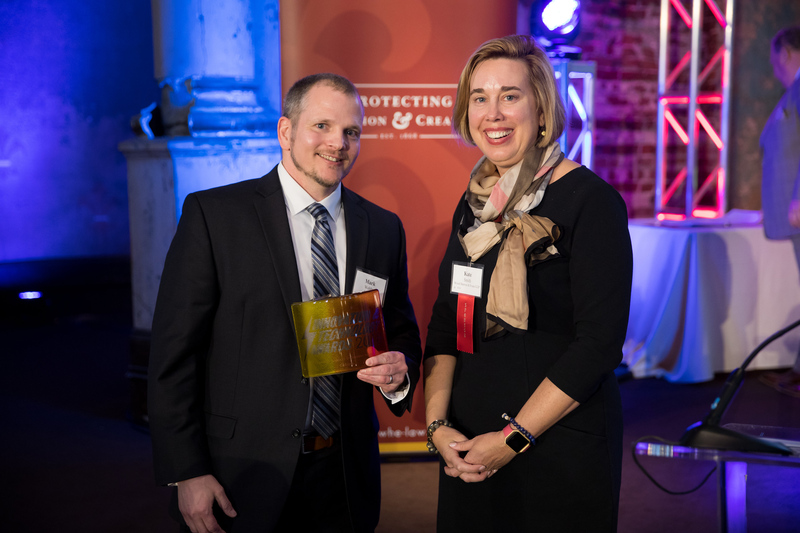 Callibrity was named a finalist in two categories of the Cincinnati Business Courier’s 2018 Innovation & Technology Awards: Tech Company of the Year and Outstanding Advanced Engineering Innovation. I received a call from the Business Courier requesting photos and an interview with our President and Co-Founder, Gary Howard. I thought this was standard procedure for all award finalists. Come to find out on April 19, 2018, we won the category: Outstanding Advanced Engineering Innovation! Co-Founder and CTO, Mark Wehby, accepted the award on behalf of Callibrity during the ceremony. Callibrity’s recent growth can be attributed to the addition of Component Teams as a service in Fall 2017. A traditional staff augmentation service - where Callibrity consultants work on site at the client and integrate with their team - is something Callibrity will always offer our clients. However, our co-founders thought it would be a next-level service offering to provide our clients with full agile component teams managed by Callibrity’s expert architects and scrum masters to support client software development goals. A new 5,200 square-foot Blue Ash headquarters, designed with engineers in mind, opened in October to give life to the vision of multiple software component teams working out of the space. It turns out our clients love not having to stress over finding strong developer talent or the workspace to put them. The component team model gives Callibrity consultants more room to innovate for our clients, to become ingrained in Callibrity’s engineering culture and vision, and gives our clients a peace of mind knowing their projects are in good hands. So far, this model has been effective in producing high-caliber software and we plan on continuing to expand it. Callibrity is a two-time Fast 55 finalist, two-time Best Places to Work finalist, and a 2017 Inc5000 list of America’s Fastest Growing Private Companies honoree. This is Callibrity’s first time as an Innovation & Technology Awards finalist and winner. It is an incredible honor to be recognized as a thought leader alongside the top innovative tech companies in Cincinnati. We can’t wait to see what the future holds for Callibrity.